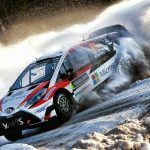 Toyota World Rally Championship team principal Tommi Makinen has threatened to withhold his drivers from Monte Carlo Rally media activities after his call to cancel Friday morning’s stages was denied. 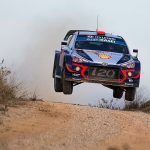 The first stage of the loop was cancelled due to concerns over spectator safety, a decision that left Makinen furious as his team had based its tyre selection around the test. 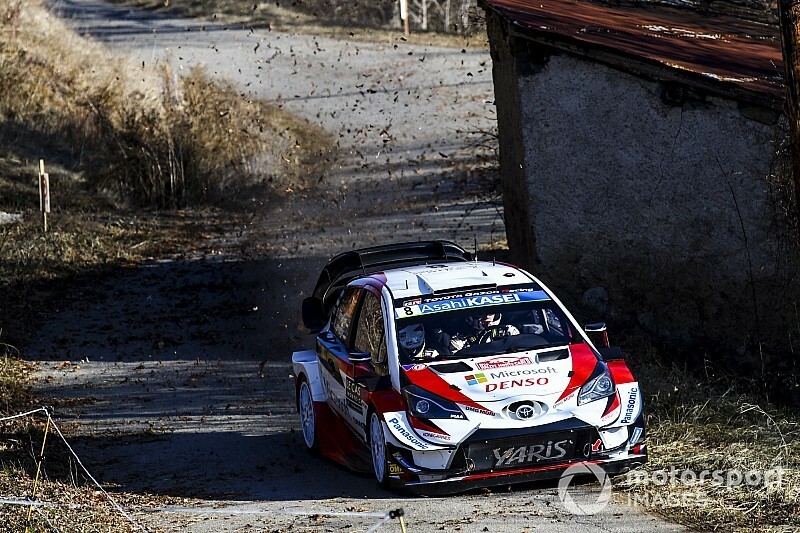 Overnight leader Tanak slipped two places through the loop, with rivals Thierry Neuville and Sebastien Ogier passing him to run first and second. 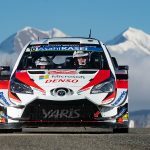 Tanak, like his fellow Toyota drivers, had selected four studded tyres for the opening stage, gambling on snow and ice on the 12-mile Valdrome-Sigottier test. Speaking to Motorsport.com at the midday halt, Makinen said he would instruct his drivers not to take part in the end-of-day press conference. “I would like to see all three stages should be cancelled this morning,” Makinen said. “Our complete strategy was based to the overall loop – we lost our lead and nobody takes responsibility for that. “The FIA doesn’t care what happens at the end of the season, what happens if we lose the championship because of this? “This is the only rally in the world where you absolutely have to understand how much it can affect [your rally] if a stage is cancelled. “It doesn’t matter in Sweden if they cancel one stage – everybody will be with the same tyres anyway. The [rally] organisers and the FIA don’t even understand we are in Monte Carlo and it’s not like this, it affects the whole loop. Sebastien Loeb was the chief beneficiary of the stage being cancelled – with only two studded tyres aboard his i20, the Frenchman would have struggled through SS3. Makinen said blame for the stage’s cancellation should be shared between the FIA and the Automobile Club de Monaco. “It was the organisers fault for allowing all of the spectators and [their] cars into the stage in the first place and then it’s unfair that [FIA safety delegate] Michele [Mouton] is coming to the stage 15 minutes before the cars and saying we can’t run,” he added. “Nobody understands the overall situation. We will not participate in the meet the crews session tonight. The FIA and rally organisers are also under pressure not to run the opening stage of Friday afternoon, with fears still in place about the number of fans at the end of the test. The Valdrome-Sigottier stage was canned after thousands of spectators gathered towards the end of the new-for-2019 test. 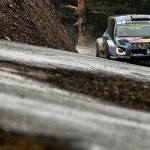 Six-time Monte Carlo Rally winner Sebastien Ogier said: “It was the right decision to cancel the stages this morning. Organisers have already announced a 12-minute delay to the start of the re-run Valdrome-Sigottier test. The Automobile Club de Monaco and the FIA are working closely and currently inspecting the numbers of fans on the stage. Latvala to become most experienced driver in FIA World Rally Championships.